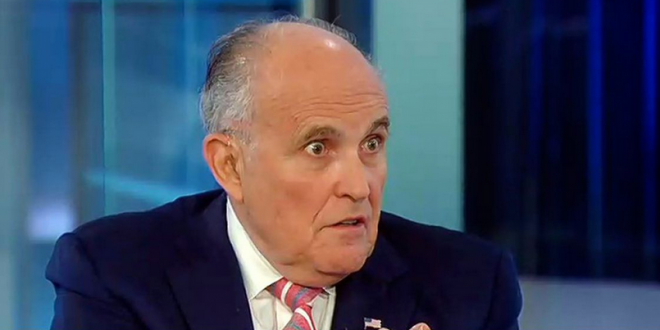 Giuliani: "Manafort Met Assange" Report Is Fake News - Joe.My.God. Following a groundbreaking report accusing Paul Manafort of meeting with WikiLeaks founder Julian Assange prior to President Donald Trump‘s 2016 election win, it seems the Commander-in-Chief’s attorney is doing some damage control. Giuliani, who in the past has routinely acted as Trump’s ally in tamping down unfavorable news related to the president, has been notably quiet in previous weeks, now speaking up in light of the Manafort news.
. @RudyGiuliani tells me: “Unequivocally fake news I am told” in reference to the report that Manafort met with Assange in 2016.